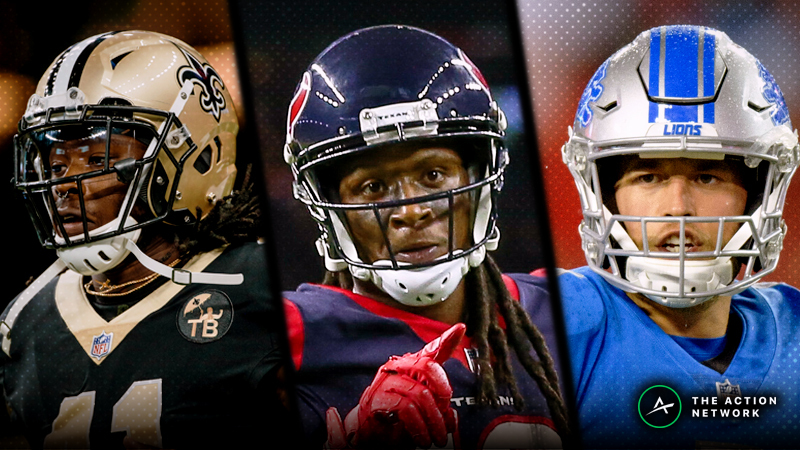 We kick the season off with data-driven analysis of Week 1’s best passing-game matchup, four potential shadow matchups and eight potential non-shadow, then round it out with a quick look at plus and minus matchups. 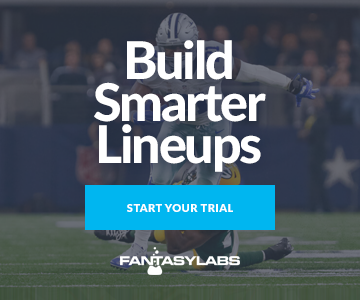 Visit the FantasyLabs’ NFL page for more weekly breakdowns. You can also view all of this week’s WR/CB matchups using the Matchups Tool. The Saints start the season without Mark Ingram, and it remains unclear whether offseason addition Cameron Meredith or third-rounder Tre’Quan Smith will command the starting slot role. 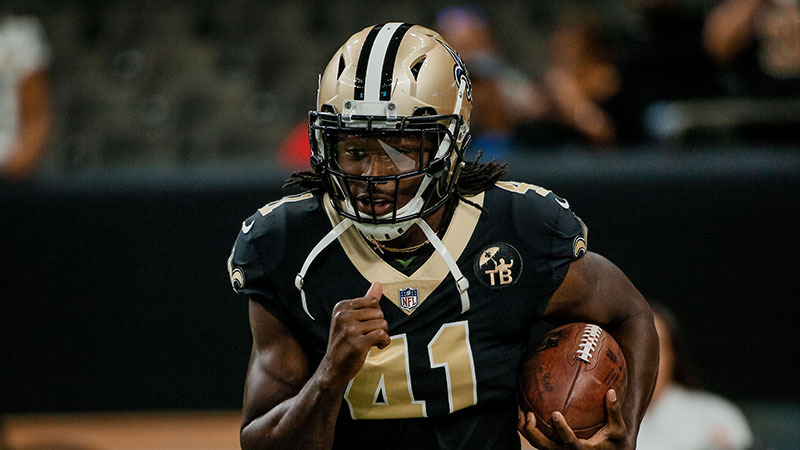 The good news is that the Saints return all five starters from one of the league’s best offensive lines, as well as one of the league’s premiere pass-game combinations of Drew Brees and Michael Thomas. Also helping matters is a potential Year 3 leap for Thomas. The Saints’ undisputed No. 1 wide receiver has formed a historically-proficient connection with Brees since entering the league in 2016. This brings us to the Buccaneers. The Saints have the week’s best pass-game matchup in terms of difference between 2017 pass DVOA rank, as their fifth-ranked offense from a season ago is set up well against a Buccaneers defense that ranked 31st in pass DVOA. Brent Grimes: The 35-year-old corner stands at 5-foot-9 and 177 pounds. Vernon Hargreaves III: The former first-rounder was PFF’s 97th-best corner out of 126 qualifiers in 2017. Ryan Smith: PFF’s 81st-best corner in 2017. Carlton Davis: The talented second-round rookie won’t have an easy NFL debut. The Saints are presently implied to score a week-high 29.5 points, which is actually below their three-year average of 31.2 points per game at the Coors Field of fantasy football. Not many cornerbacks are consistently asked to travel with the opposition’s No. 1 wide receiver: Only five defensive backs were credited with playing at least 10 games in shadow coverage last season, per Pro Football Focus. Even those five players don’t enter 2018 with guaranteed weekly shadow dates due to offseason changes in scheme and roster construction. But there appear to be at least four cornerbacks who we can expect to regularly line up across from their opponent’s top receiver in Week 1. Evans caught only 6-of-19 targets for 68 yards against Lattimore and the Saints in 2017. The receiver ultimately earned more suspensions (1) than touchdowns (0) on the rookie’s watch. Lattimore, last year’s 11th overall draft pick, offers a combination of size (6 feet, 193 pounds) and speed (4.36-second 40-yard dash) that can cause issues for any receiver. The Saints only asked Lattimore to shadow on six occasions in 2017, but they could add more to his plate in his second year. PFF’s ninth-highest graded cornerback was one of only six full-time corners to not allow a touchdown last season. Evans’ 6-foot-5, 231-pound frame can give even the league’s best defensive backs issues, but Lattimore is as good as they come. Then there’s Ramsey — the league’s premiere trash-talking corner who tied for second in PFF’s final overall grades in 2017 — who largely dominated his few shadow opportunities last season. The presence of fellow elite cornerback A.J. Bouye allowed the Jaguars to pick and choose when to unleash Ramsey on the opponent’s No. 1 receiver, but a Week 1 shadow date with OBJ seems likely considering the flamboyant receiver’s generational talent and importance to the Giants offense. Still, Ramsey was limited in practice Thursday with an ankle injury, so the team could understandably choose to ease him back into game action vs. rushing him into a very-tough shadow matchup. Antonio Brown was the only wide receiver to gain over 100 yards against the Jaguars last season. (Though he did so twice.) OBJ obviously has a brutal matchup, but it’s not everyday one of the league’s most-talented receivers gets reduced ownership across the daily fantasy industry. Slay joined Patrick Peterson, Malcolm Butler, Morris Claiborne and Xavier Rhodes as the only cornerbacks to shadow in at least 10 games in 2017. The first-team All-Pro cornerback proved to be a difficult draw for even the league’s best receivers, as Slay racked up a league-leading eight interceptions and allowed the sixth-worst passer rating when in coverage among full-time cornerbacks. Despite Slay’s status as one of the league’s best, Anderson is capable of winning the matchup thanks to his game-breaking, field-stretching ability. The Jets’ No. 1 receiver was top 10 among wide receivers in standard fantasy leagues and top 15 in PPR leagues between Weeks 1 and 13 last season. He was also one of only nine wide receivers to average at least two yards per route run over that span. According to NFL Next-Gen Stats, only Tyreek Hill created a higher average rate of separation than Anderson among wide receivers with 100-plus targets in 2017. The presence of new head coach Matt Patricia probably won’t drastically change Slay’s shadow frequency, as Patricia regularly asked Stephon Gilmore and Malcolm Butler to travel with a single receiver as the defensive coordinator in New England last season. This seems like the most likely course of action in Week 1 considering the Jets’ No. 2 receiver Jermaine Kearse is doubtful with an abdominal issue. Denver’s “No-Fly Zone” failed to live up to its reputation as a pass offense’s worst nightmare in 2017. Overall, five quarterbacks scored 18-plus DraftKings points against the Broncos last season, while only six quarterbacks did so in 2015 and 2016 combined. Long-time No. 1 cornerback Aqib Talib has since joined former defensive coordinator Wade Phillips in L.A. with the Rams, and the Broncos defense ultimately ranked better against the run (third) than against the pass (15th) in Football Outsiders’ Defense-Adjusted Value Over Average (DVOA). Even if Denver’s secondary continues its downward trajectory, the Broncos are well-positioned to take away their Week 1 opponent’s strength thanks to Harris, the league’s premiere slot cornerback. Broncos CB Chris Harris Jr. is the best slot corner in the league. Harris played at least 20 snaps at both outside and slot corner in five games in 2017, so it’s feasible that he lines up against Baldwin on a heavy majority of the primary slot receivers’ snaps, regardless of where he aligns. Baldwin admitted his lingering knee injury will force him to operate at only 80-85 percent this season, which certainly doesn’t help his difficult season-opening matchup. Vikings CB Xavier Rhodes emerged as one of the league’s best shadow corners last season, but the team has historically saved his shadow services for teams with a truly-elite No. 1 wide receiver, which doesn’t seem to describe 49ers receivers Marquise Goodwin or Pierre Garcon. Cardinals CB Patrick Peterson isn’t expected to shadow on a regular basis in 2018 in head coach Steve Wilks’ new defense. The former Panthers defensive coordinator used zone-coverage on a league-high 72.5 percent of snaps in 2017 (PFF), opening opportunities underneath and in the middle of the field for Redskins slot receiver Jamison Crowder. Patriots CB Stephon Gilmore routinely shadowed during the second half of 2017, but the Patriots chose to use him exclusively on the right side during their Week 3 matchup against the Texans. The Patriots could theoretically change their defensive scheme after a rough 2017 campaign. Texans’ No. 1 receiver DeAndre Hopkins is capable of winning either way. Bills CB Tre’Davious White was PFF’s sixth-highest graded cornerback in coverage last season, but was only asked to shadow twice. Ravens receiver Michael Crabtree probably doesn’t warrant an overhaul in the Bills’ defensive scheme, and offers red-zone upside in a Baltimore offense that will likely be without tight end Hayden Hurst (foot). Dolphins CB Xavien Howard was the team’s best defensive back in 2017, but only traveled with Julio Jones and Brandin Cooks. It remains to be seen whether opponents consider Corey Davis or Rishard Matthews to be the Titans’ No. 1 receiver. Chargers CB Casey Hayward was graded as the best cornerback in the league by PFF last season, but he didn’t shadow Tyreek Hill in either of their 2017 matchups. Hill lined up in the slot or in the backfield on 40.5 percent of his snaps in 2017 and posted 1-9-1 (NFL debut), 5-46-0, 5-77-1 and 5-88-1 lines in four games against the Chargers. Giants CB Janoris Jenkins wasn’t the same lock-down talent in 2017 as he was in 2016. He probably won’t be asked to travel against a Jaguars offense lacking a defined No. 1 receiver in the wake of Marqise Lee’s season-ending knee injury. Keelan Cole and Donte Moncrief are expected to work on the outside with Dede Westbrook manning the slot. Redskins CB Josh Norman didn’t shadow once in 2017, and the Redskins shipped stud starting slot corner Kendall Fuller to the Chiefs as part of the Alex Smith trade. Sam Bradford has historically featured slot receivers including Jordan Matthews and Danny Amendola. Sup, Larry Fitzgerald? The Colts defense ranked dead last in pass DVOA last season and proceeded to lose No. 1 cornerback Rashaan Melvin in free agency. They could have trouble sending too much attention to Green with a healthy Tyler Eifert and Ross involved. Ross, last year’s ninth overall draft pick, broke the record for the combine’s fastest 40-yard dash ever (4.22 seconds) and is expected to start alongside Green in two wide receiver sets. New Browns cornerbacks Denzel Ward (back) and E.J. Gaines (knee) are each banged up entering Week 1. Smith-Schuster seems poised to take a second-year leap after finishing 2017 as WR22 in PPR … with Martavis Bryant seeing 84 targets. The 49ers allowed the seventh-most DraftKings points per game to wide receivers in the league last season. They’ve since added long-time stud Richard Sherman, but the three-time First-Team All-Pro is coming off surgery on both of his Achilles as well as a hamstring injury he suffered during training camp. Diggs has a slightly better Median Projection and Ceiling/Floor combo in the FantasyLabs Pro Models, but also comes with a higher projected ownership rate. Thielen is set up well in the slot against a 49ers defense that is likely to be without corner Jimmie Ward (quad). Be sure to check out the FantasyLabs Ownership Dashboard shortly after lock to see which receiver the public prefers, as well as the Injury Dashboard to stay on top of the practice participation and final status of each week’s starters and fantasy-relevant players. The Chiefs defense ranked 30th in overall DVOA last season and shipped No. 1 corner Marcus Peters to the Rams. Ex-Redskins corner Kendall Fuller will help considering he was tied with Ramsey as PFF’s No. 2 overall cornerback in 2017, but fellow starters Orlando Scandrick and Steven Nelson ranked outside of PFF’s top 85 corners. There are plenty of available red-zone targets with Hunter Henry on IR, although Antonio Gates was re-signed and figures to be involved near the goal line. Allen is the team’s undisputed No. 1 receiver, but 2017’s seventh overall pick Mike Williams also offers upside thanks to his elite contested-catch ability. All-world free safety Earl Thomas finally ended his holdout this week, but his status remains uncertain going into Sunday. The Seahawks’ new-look secondary might be better named the Legion of Doom, as Sherman (49ers) and Kam Chancellor (retired) have been replaced by unproven commodities. Sanders might be in the position to thrive, as he’s expected to work primarily from the slot this season. New quarterback Case Keenum is an upgrade in the Broncos’ post-Manning era, and he fed Thielen — the Vikings’ primary slot option — a team-high 8.9 targets per game in 2017. The Ravens will miss Jimmy Smith for the first four games of the season due to suspension, but it’s still tough to get excited about the Nathan Peterman-led passing game. Smith will be replaced by former first-rounder Marlon Humphrey, who is a similar big-bodied corner standing 6 feet, 200 pounds. Benjamin’s game speed in 2017 was slower than the average tight end, and he’ll have his hands full with a Ravens defense that has ranked among the league’s top 10 defenses in DVOA vs. No. 1 receivers in three consecutive seasons. The Steelers boast three talented cornerbacks in a secondary that ranked seventh in both pass DVOA and DraftKings points per game allowed to wide receivers last season. 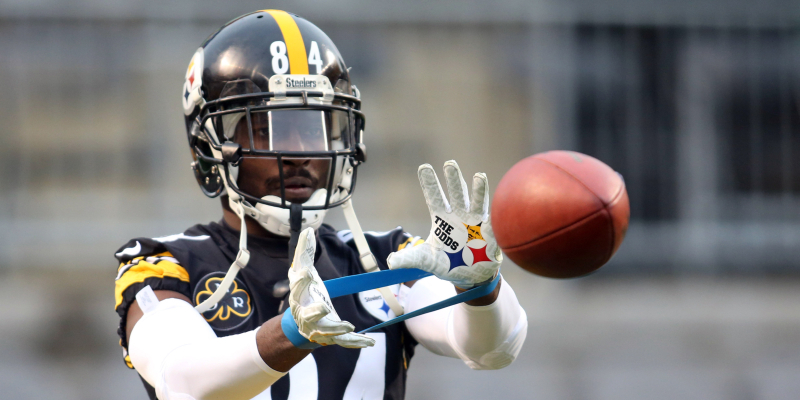 Nickelback Mike Hilton could be particularly troublesome for Landry, as Hilton ranked among the league’s top four slot corners in passer rating and yards allowed per cover snap last season. Gordon said he’s 100 percent healthy after tweaking his hamstring in training camp, but he’ll be on a snap count, and rookie Antonio Callaway will get the start alongside Landry. The Bears’ new-look offense is expected to be more pass-friendly compared to what fans had to deal with under John Fox, but it remains to be seen whether Mitchell Trubisky will take a leap in his second year as a starter. Last year’s No. 2 overall pick has a murky pecking order at receiver after the team’s fruitful offseason, as tight end Trey Burton could feasibly lead the team in targets.